During the warm weather season, one of the most commonly asked questions - and line of complaints - I receive pertains to dewpoint and relative humidity. Over the last several years, I've come to use both rather sparingly on-air on NECN, largely because use of one always brings complaints and questions why I don't show the other instead. 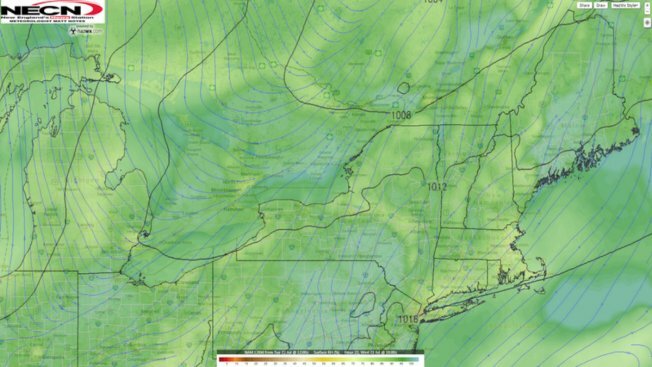 Our midweek heat and "humidity" in the Northeast U.S., slated to peak Wednesday, brings a wonderful opporutunity to illustrate both, and hopefully explain both in a way that will be helpful, though realistically, I expect that most of the folks who complain about use of the terms won't read this entire post (I hope some do! ), which means it'll be incumbant upon those who do finish reading to share the knowledge over lemonade at pool parties this summer, when your friends and family complain, LOL. One of the common numbers you'll see a meteorologist refer to in weather broadcasts and weather discussions, is "dewpoint." 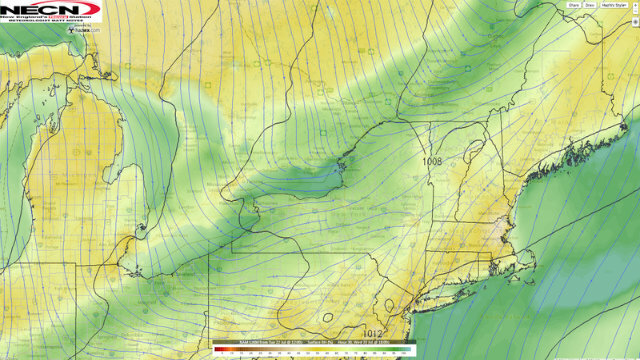 As meteorology students at Cornell University, we were always taught, "dewpoint is a fictitious number, in that it cannot be directly measured." With the aid of electronic measuring devices, your home weather station now can give instantaneous dewpoint readings, though it's true that the dewpoint is not a directly measurable parameter - the technical definition is the temperature at which air becomes saturated if cooled at a constant pressure. That's not as deep thinking as it sounds - basically, what that definition is saying is, if you cool the air all the way down to the dewpoint, you'll get 100% relative humidity. So, if the air temperature is 95° F and the dewpoint is 70° F, that will feel really "humid," in everyday terms, because a 70° dewpoint indicates a ton of moisture in the air...but the relative humidity would only be 44%. If you cool the air down to that 70° dewpoint, your relative humidity rises to 100%, and fog develops. On the flip side, in winter, the dewpoint may be only 30°...indicating much less moisture in the air...but if the air temperature is also 30°, it surely won't feel "humid" by everyday terms, but your relative humidity with a matching temperature and dewpoint is 100% - you'll have fog that develops. In a high dewpoint air (lots of water vapor), it feels "humid" as we use the term in everyday life. In a high relative humidity air (temperature and dewpoint almost the same, regardless of how hot or cold), the air is "moist," but it doesn't necessarily feel humid if the dewpoint isn't high. So...when I'm asked, "why didn't you show the relative humidity today? (or dewpoint)" the answer is because it's not always relevant. High relative humidity near 100% indicates fog production, so that's relevant. Low relative humidity indicates rapid drying of clothes on the line, and rapid dehydration of plants, animals and people, so that's important, too. Anything in between...doesn't really have much impact. Vice versa for dewpoint - a really high dewpoint means you'll feel the air as "humid" (dewpoints in the 60s starts to feel muggy, above 70 is oppressive), and a really low dewpoint means the air is exceptionally lacking in water vapor. Again, in between, the applicability to your daily life is rather limited. In the next map, all I did was advance the forecast time to Wednesday afternoon. What's changed? The relative humidity has dropped substantially, to between 45-55%. Why? Did the total amount of moisture in the air drop? Nope - the dewpoint stays the same (around 70°), which means it still feels humid to us Wednesday afternoon, but the relative humidity drops because the temperature goes up...farther away from the dewpoint, which means less "moist" air and farther away from making fog. My hope is that this helps to explain a bit about both the relationship, and the difference, between relative humidity and dewpoint, but if questions remain, I encourage you to pose them and I'll do my best to update the post with some answers. In the meantime, if you'd like to play around with a dewpoint and relative humidity calculator, here's a great one by clicking here.